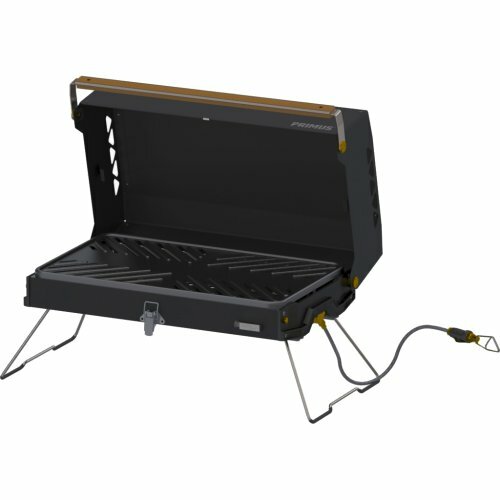 Lightweight, compact and portable barbeque, letting you have your backyard barbeque experience wherever you want with no compromise of performance or functionality. Gas powered grill provides both direct and indirect heat to cook your food exactly as you like it. Non-stick grill grate and drip tray can be removed and cleaned individually for easy maintenance. Powered by lightweight and portable backpacking gas canisters (100g, 230g and 450g), gas not included.